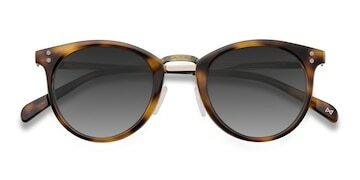 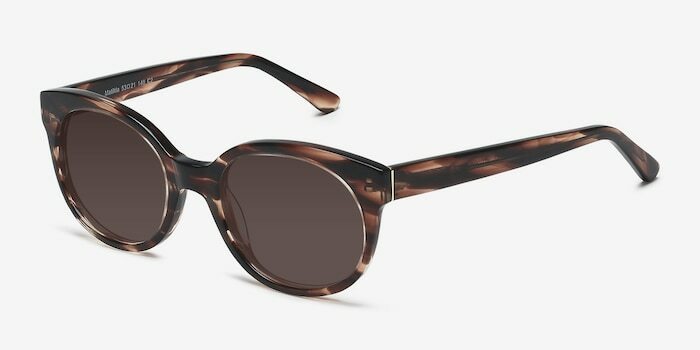 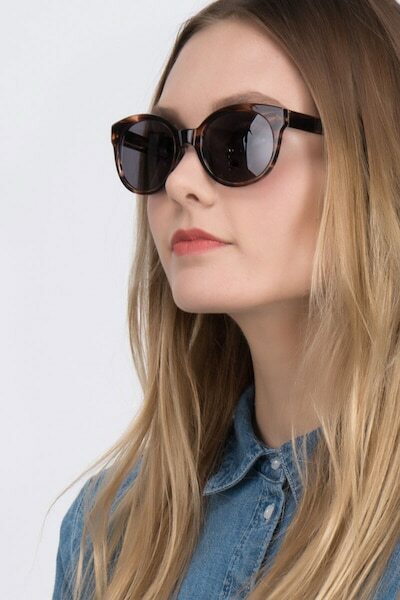 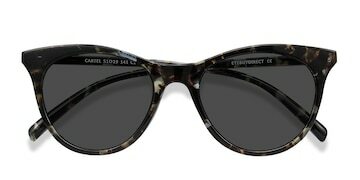 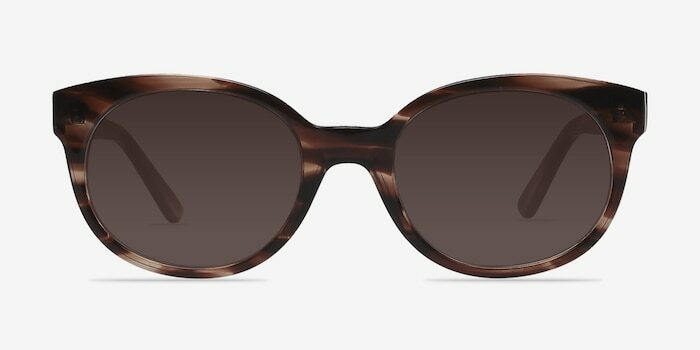 These daring brown tortoise sunglasses are ultra feminine and sleek. 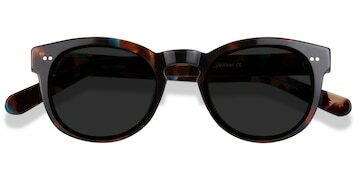 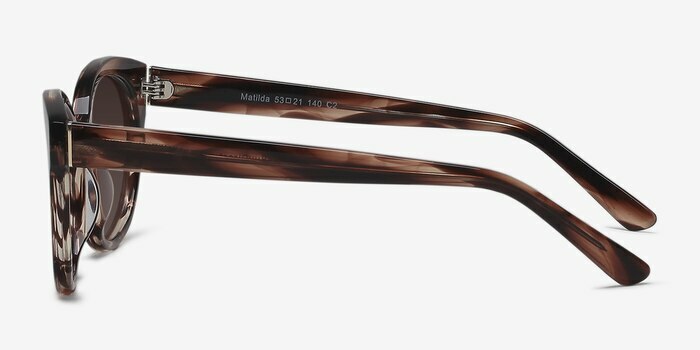 This chic style boasts oval shaped lenses exaggerated into a cat eye shape and is composed of a semi-transparent striated tortoiseshell finish throughout. 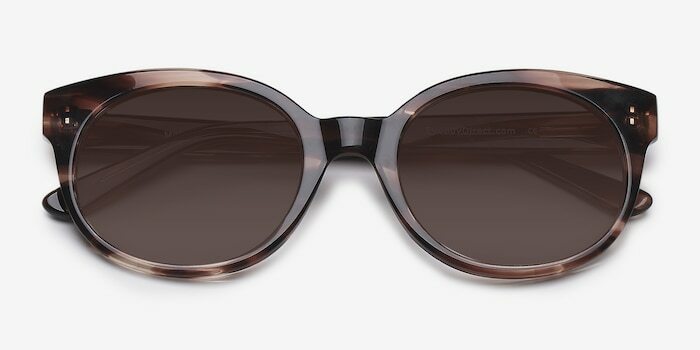 Unadorned and simple, this elegant look is reminiscent of old Hollywood glamour.